The Comprehensive Annual Financial Report (CAFR) is a detailed presentation of the City's financial position and activities for the fiscal year and is organized in four main sections. The Introductory Section includes the City Officials, letter of transmittal and an organization chart for the City's government. The Financial Section includes the independent auditors' report, management's discussion and analysis, basic financial statements and notes, and the underlying combining and individual fund financial statements and supplementary information. 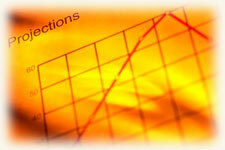 The Statistical Section contains selected economic, financial trends on a multi-year basis. The Compliance Section includes the independent auditors' reports on compliance and internal control.